New research shows a connection between social media use and impaired risky decision-making. 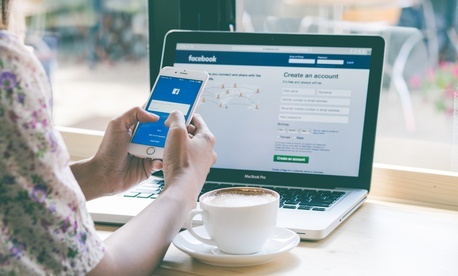 The findings, which appear in the Journal of Behavior Addictions, are the first to examine the relationship between social media use and risky decision-making capabilities. The researchers had 71 participants take a survey that measured their psychological dependence on Facebook, similar to addiction. Questions on the survey asked about users’ preoccupation with the platform, their feelings when unable to use it, attempts to quit, and the impact that Facebook has had on their job or studies. By the end of the gambling task, Meshi and his colleagues found that the more excessive participants’ social media use, the worse participants did in choosing decks. The less social they used media, the better participants did in the task. This result is complementary to results with substance abusers. People who abuse opioids, cocaine, methamphetamine, or other drugs—have similar outcomes on the Iowa Gambling Task, which shows the same deficiency in decision-making. “With so many people around the world using social media, it’s critical for us to understand its use,” Meshi says. Additional researchers are from Michigan State and Monash University. Previous Post | Agencies Spent $4 Trillion Last Year; Did Taxpayers Get What They Paid For?